With snow and adverse conditions causing havoc to the European calendar at the moment, a ‘Race to the Sun’ sounds just the tonic – and Richie Porte may well have his chance to shine for Sky in Paris-Nice. The first major European stage race of the season, the eight-day Paris-Nice is traditionally viewed as an early litmus test for Grand Tour contenders. 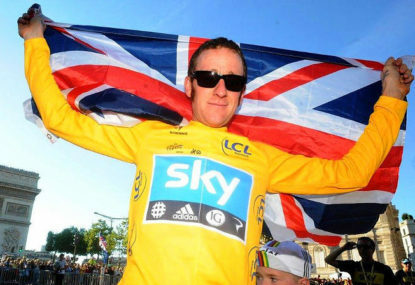 Bradley Wiggins’ victory last year marked the start of a winning streak for ‘Wiggo’ that culminated in the Olympic time trial gold medal less than two weeks after mounting the podium in Paris as the first British winner of the Tour de France. But there’ll be no Wiggins this year to defend his title, the 32-year-old instead taking part in the Volta a Catalunya later in March as he bids to get into shape ahead of his season’s main target, the Giro d’Italia. In fact, the 2013 Paris-Nice will be somewhat deprived of superstar general classification contenders, with the likes of Cadel Evans (BMC), Alberto Contador (Saxo Bank-Tinkoff), Chris Froome (Team Sky), Vincenzo Nibali (Astana) and Andy Schleck (RadioShack) all preferring the ‘Race of the Two Seas’ – or Tirreno-Adriatico – to the ‘Race to the Sun’. 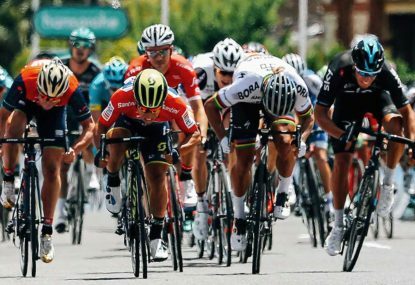 The week-long Italian stage race – which traverses the country from west to east – starts three days after this Sunday’s Paris-Nice prologue, while the third Grand Tour territory, Spain, gets in on the act a little later in the month with the seven-day Volta a Catalunya, running from 18th March. An illustrious field taking to the start in Catalunya includes the likes of reigning Giro champion Ryder Hesjedal (Garmin), Joaquim Rodriguez (Katusha), Igor Anton (Euskaltel), Janez Brajkovic (Astana) and Damiano Cunego (Lampre), as well as that man Wiggins and – at least, according to the race organisers – Evans. Evans has ridden both Tirreno-Adriatico and Catalunya in the same season before – in 2011, setting the foundations for his famous Tour de France victory – but given he’s down for the two-day Criterium International in Corsica at the same time as Catalunya, something’s got to give for the veteran Australian. Back to Paris-Nice – and the absence of sparring Sky leaders Wiggins and Froome will give Porte a chance to steal the limelight for Dave Brailsford’s British-based team. The Tasmanian has struggled to replicate the form that saw him wear the pink jersey for three days during the 2010 Giro, in which he eventually finished seventh and topped the best young rider classification. At 28, Porte is no longer a spring chicken, and following a season playing second fiddle to Contador at Saxo Bank he endured a debut campaign for Sky carried out very much in the shadow of Messrs Wiggins and Froome. But with Mick Rogers now riding for a team with a more relaxed attitude to the signing of zero tolerance-related documents, Porte finds himself the No.1 Australian at Sky. Not only that, for Paris-Nice he’ll find himself the team’s No.1 rider, full stop. The only other time Porte has played the role of team leader for Sky resulted in his overall victory in last year’s Volta ao Algarve. This bodes well for a rider once tipped for – and still capable of – great things. Challenging Porte for the spoils in Paris-Nice will be a mixture of washed-up stars of yesteryear (Denis Menchov, Andreas Klöden and Ivan Basso), riders out to prove that they should be their team’s No.1 rider for the Tour (Tejay Van Garderen, Jean-Christophe Péraud and Robert Gesink) and riders bent on showing their directeurs sportifs that they can at least be a veritable GC hope for either the Vuelta or Giro (Andrew Talansky, Jakob Fuglsang and Nicolas Roche). Paris-Nice is organised by ASO, the same organisation behind the Tour de France, and you’d be forgiven thinking that Christian Prudhomme’s men had put all their efforts into organising a memorable 100th edition of the Grande Boucle over putting together an intriguing ‘course au soleil’ in March. The parcours – which takes a southerly trajectory from the cold heartlands of northern Europe to the (theoretically) sunnier climes of the Mediterranean coast, whereby mirroring the transition from winter to spring – certainly takes some time to warm up (in all the senses). A short 2.9km opening prologue should be rather fun, but it’s followed by three largely flat stages destined for big bunch-sprint finales. 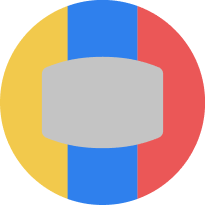 Germany’s Marcel Kittel (Argos-Shimano) and French bulldog Nacer Bouhanni (FDJ) will be the fast men to watch, while Australians Mark Renshaw (Blanco), Leigh Howard (Orica-GreenEDGE) and IAM’s Heinrich Haussler – so impressive during the 2009 edition – will look to get in on the act. Big guns Mark Cavendish (Omega Pharma-QuickStep) and Andre Greipel (Lotto Belisol) will be doing battle in Italy, but there is still a fine roster of support sprinters, including Yauheni Hutarovich (Ag2R), Borut Bozic (Astana), Daniel Oss (BMC), Elia Viviani (Cannondale), Gianni Meersman (Omega Pharma-QuickStep), Romain Feillu (Vacansoleil) and veteran Alessandro Petacchi (Lampre). An undulating stage four includes seven categorised climbs and should suit a breakaway – so watch out for a rider like Thomas De Gendt (Vacansoleil) or French escape veterans Thomas Voeckler (Europcar) and Sylvain Chavanel (OPQS). Stage five concludes on the race’s highest summit finish, La Montagne de Lure, which is the younger sister of Mont Ventoux, and boasts 13.8km of high altitude climbing at an average of 6.6%. Contador won here in 2009 but cracked the next day, handing the overall win to Rabobank’s Luis Leon Sanchez. Stage six is another undulating affair suited to punchy riders in the mould of Philippe Gilbert (BMC) and Tom Boonen (OMQS). The race then concludes with the deciding 9.6km mountain time trial up the Col d’Eze where Wiggins pipped Lieuwe Westra (Vacansoleil) last year by two slender seconds. After his sound showing in 2012 (he finished just eight seconds down on Wiggins), all-rounder Westra will be another favourite for the GC and, along with Meersman and De Gendt, the 30-year-old Dutchman is one of just three stage winners from last year’s race who will take to the start on Sunday. Further names to throw into the ring are Rui Costa (Movistar), Rein Taaramae (Cofidis), the in-form Jonathan Hivert (Sojasun) and Tour of Britain winner Jonathan Tiernan-Locke, who will be making his debut stage race for Sky. Should Porte’s hopes fade, perhaps the British puncheur will rise to the occasion. The 28-year-old certainly has pedigree in French stage races: in 2012, he won the Mediterranean Tour, the Tour du Haut Var and the Tour Alsace. Orica-GreenEDGE will look to ride an aggressive race too. 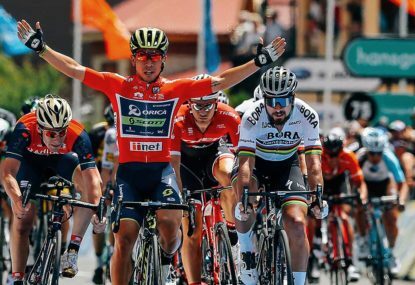 In Michael Albasini and Simon Gerrans they have two riders who can be a huge factor in the undulating stages – although Gerrans has never excelled in the race and will certainly have one eye on defending his Milan-San Remo crown later in the month. Michael Matthews will be an able deputy for Howard in the sprints, while Vuelta polka dot jersey winner Simon Clarke will look to excel in the hills. 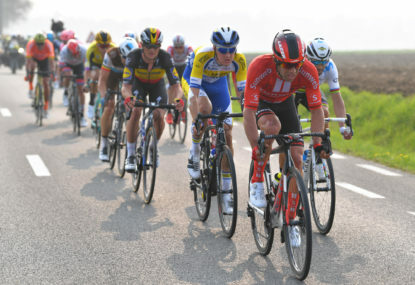 One thing is certain – without any of the riders expected to target the Tour de France podium in action during Paris-Nice, it will be an open race with more excitement than last year, which saw Sky pretty much control the race from start to finish. Porte and Tiernan-Locke, however, will hope the same team reaches the sun in yellow.